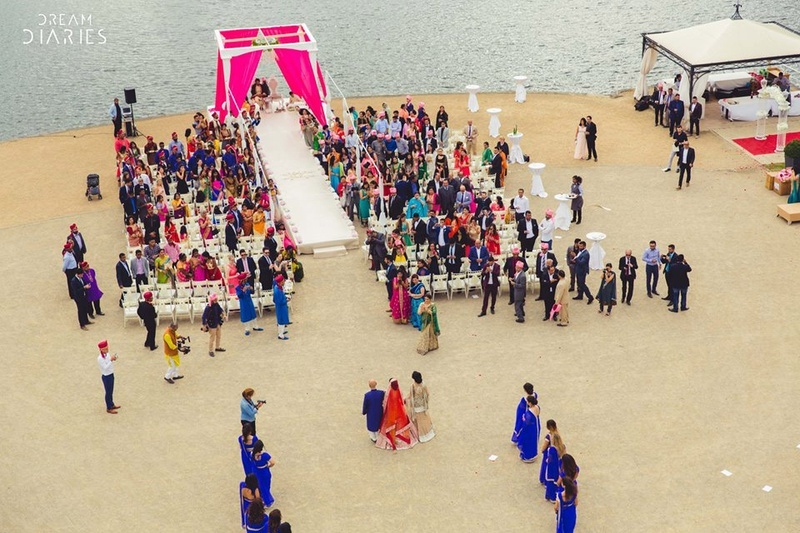 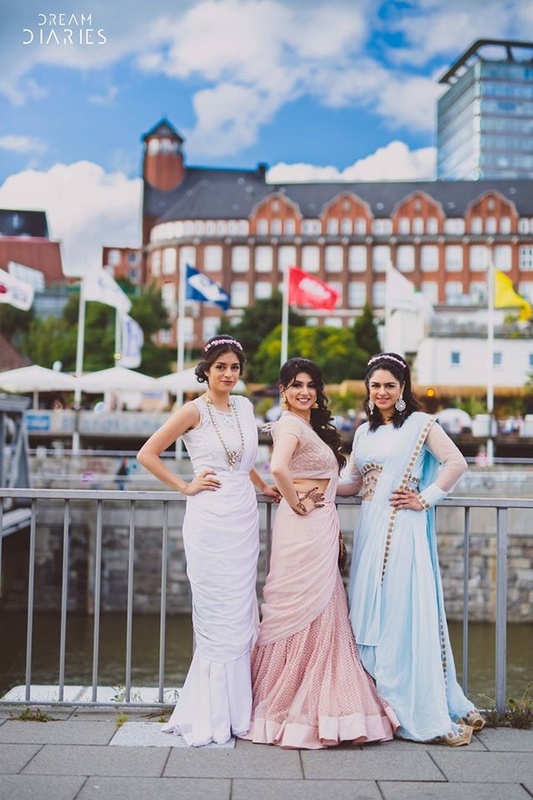 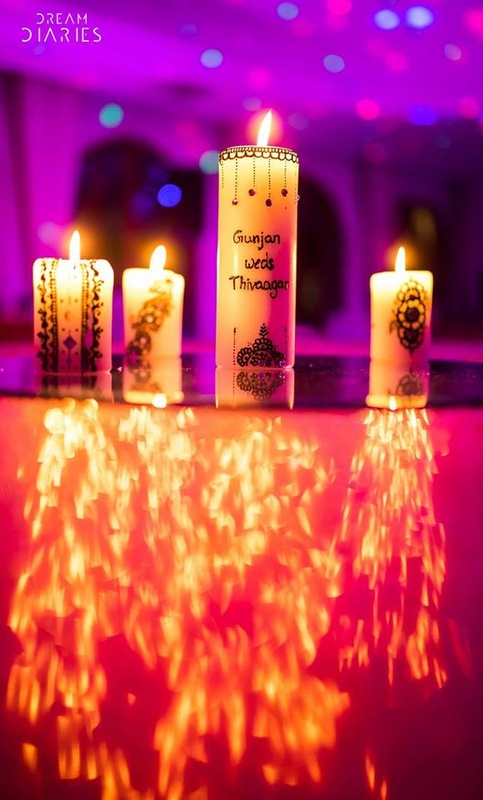 International Destination Wedding Held In Germany With A Fusion Of Colour & Class ! 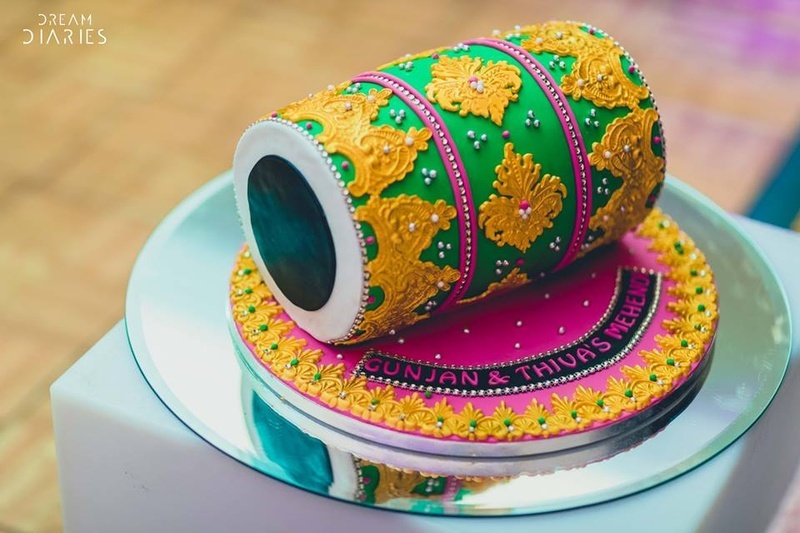 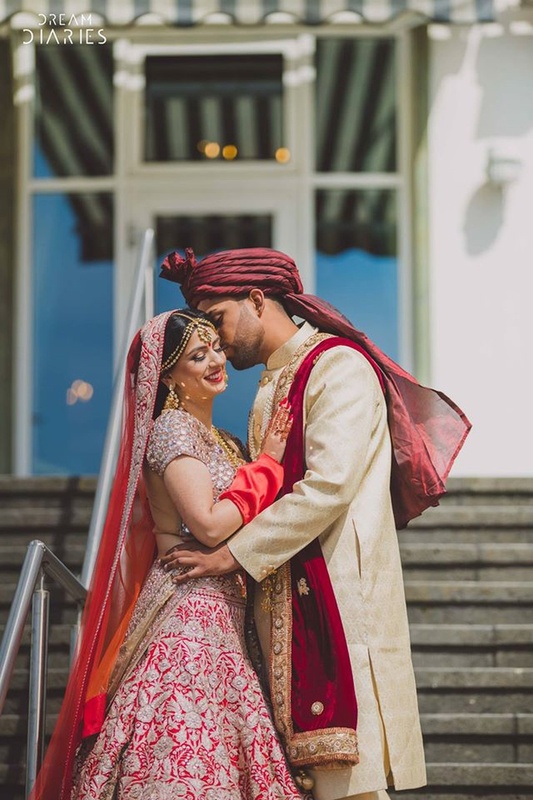 Gunjan and Thiva's wedding ceremony in Germany looks like a page out of a fairy tale and we love, love, love the colours, smiles and emotions, captured beautifully by Dream Diaries. 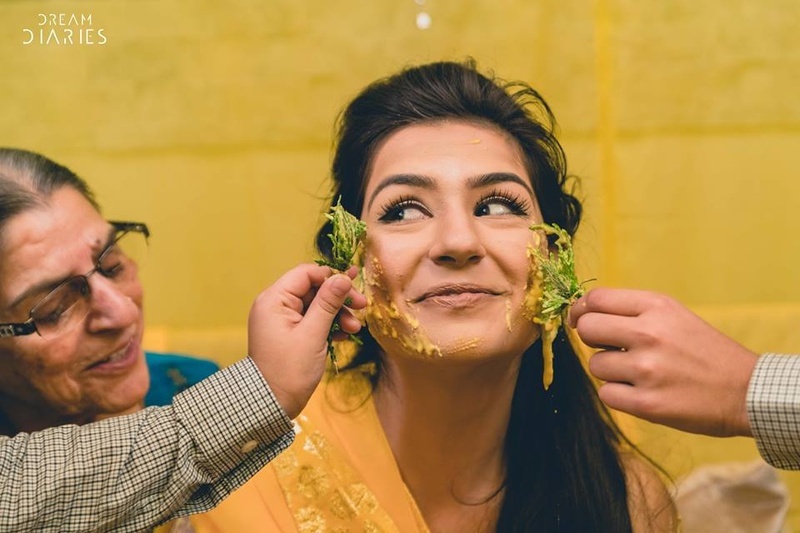 The duo studied abroad in California at the San Diego State University and stayed in the same student complex. 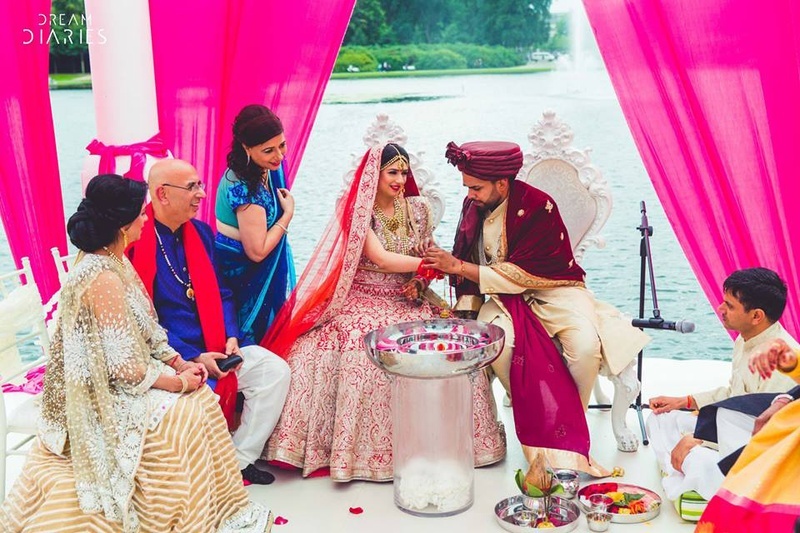 They met through mutual friends and started dating soon after. 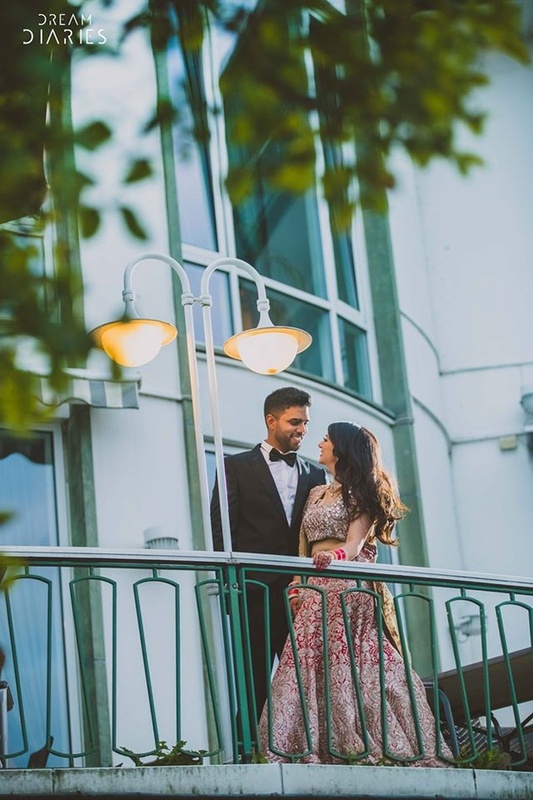 For Thiva, it was almost love at first sight and we just adore the look they have in their eyes when they look at each other! 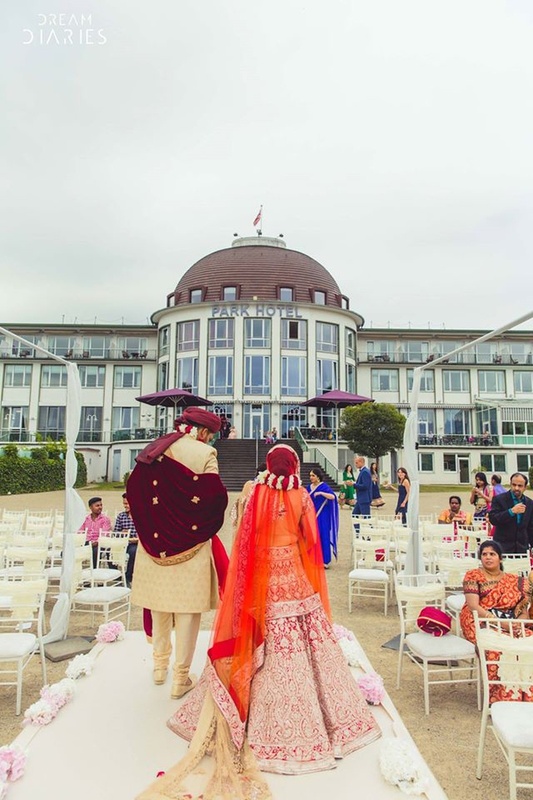 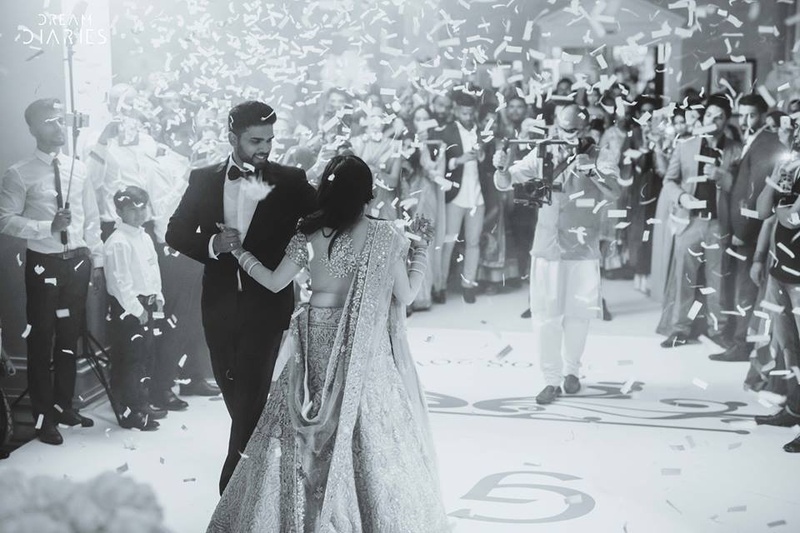 They had an intimate wedding in Germany, where they both reside, and we were blown away by the desi elements of the videshi wedding! 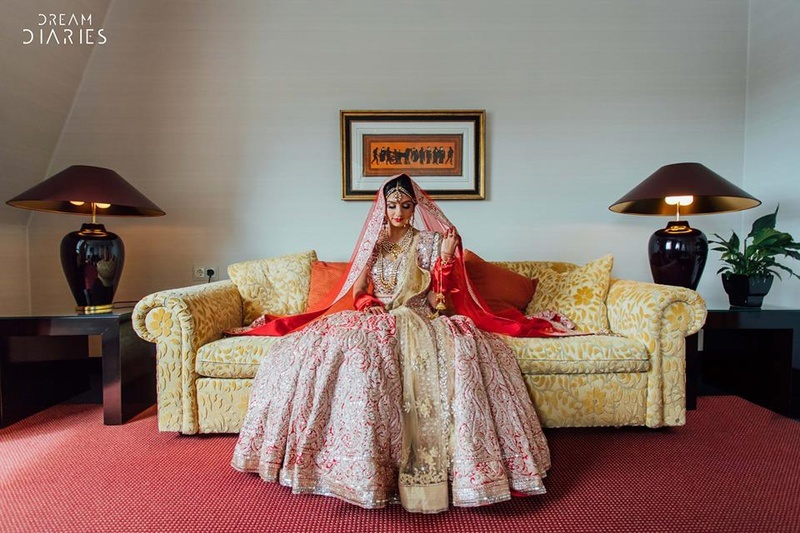 The bride looked radiant in a Manish Malhotra lehenga and the dapper groom chose his outfits from Manyavar. 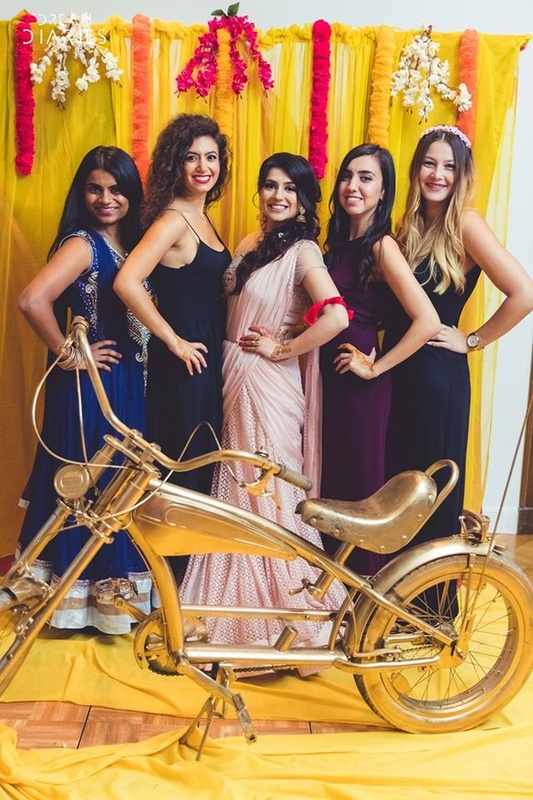 Bride and her bridesmaids dressed up beautifully for the mehendi ceremony. 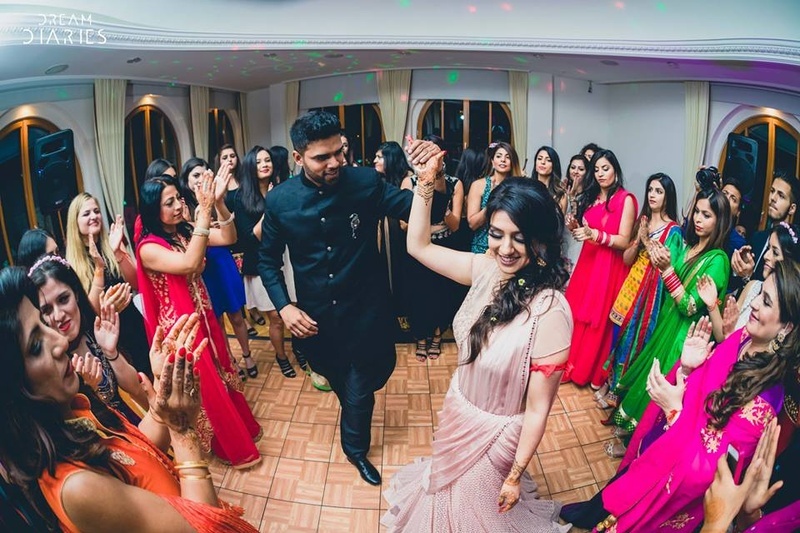 Gunjan dressed up in a pastel pink lehenga by Tarun Tahiliani for the mehendi ceremony. 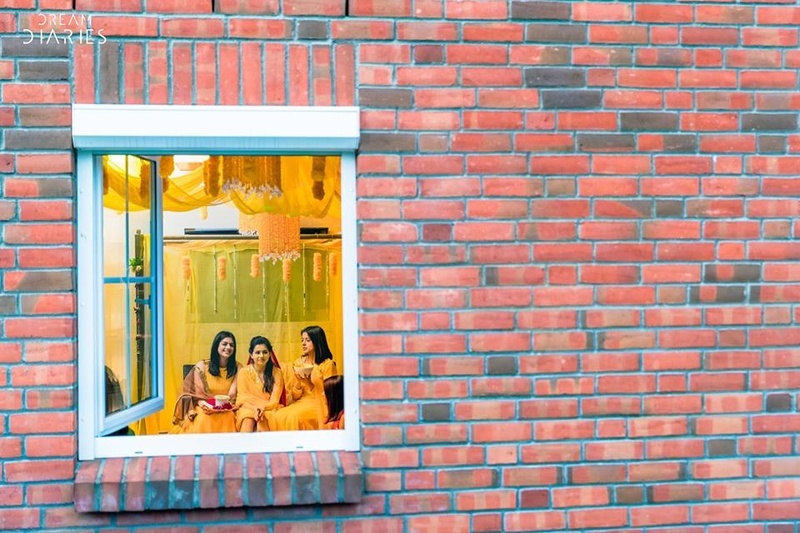 In the streets of Hamburg on the way to mehendi ceremony held at Störtebecker Säle, Hamburg. 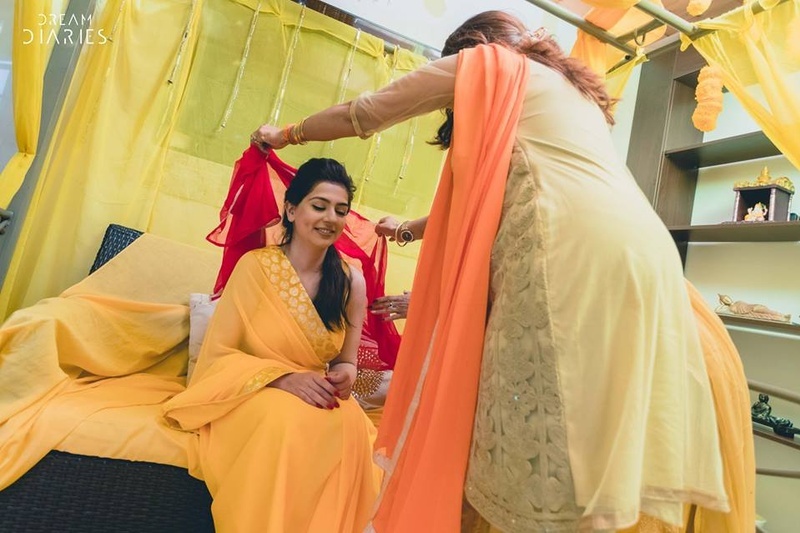 Bride and bridesmaids dressed up elegantly in pastel colours for the mehendi ceremony. 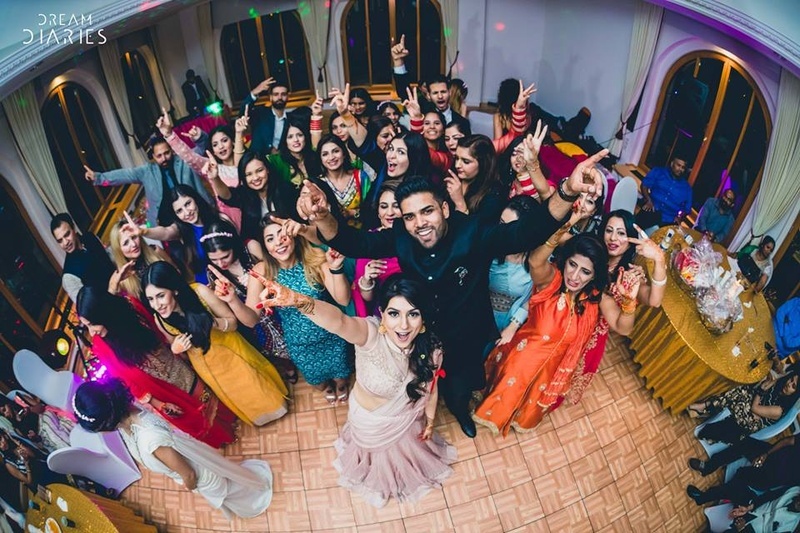 Dance performances at the mehendi ceremony. 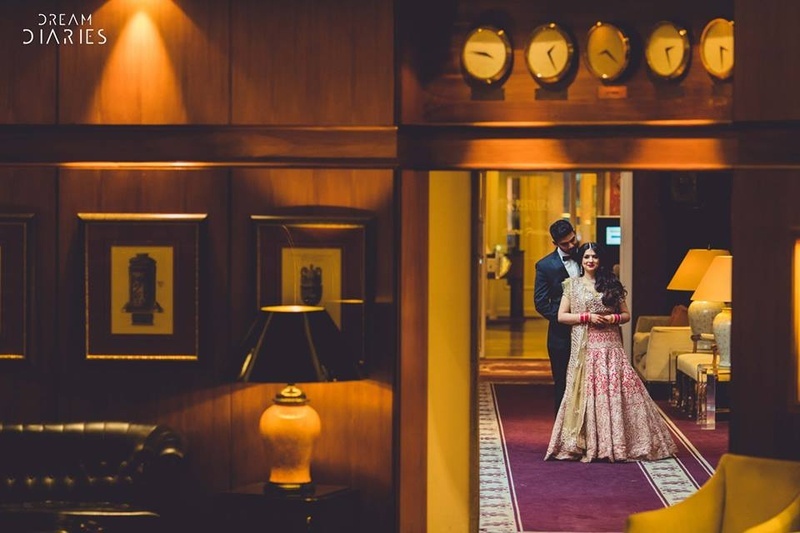 Couple shot by Dream Diaries. 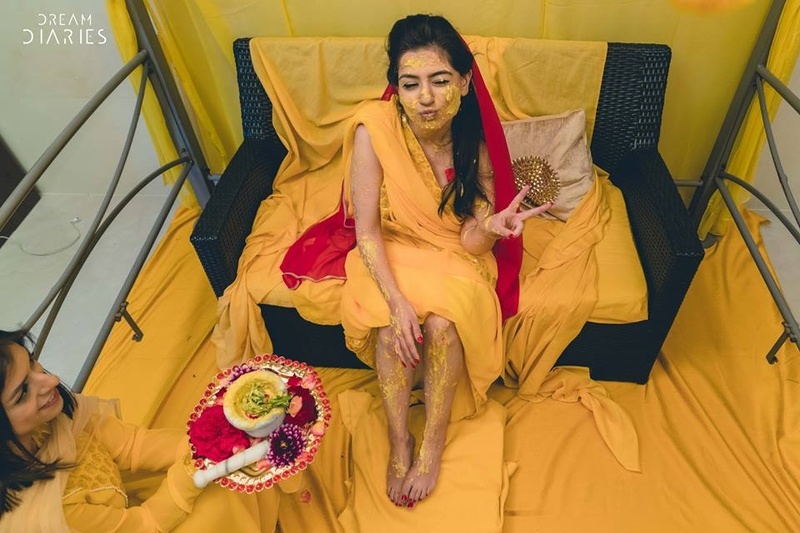 Haldi ceremony held at home in Hamburg. 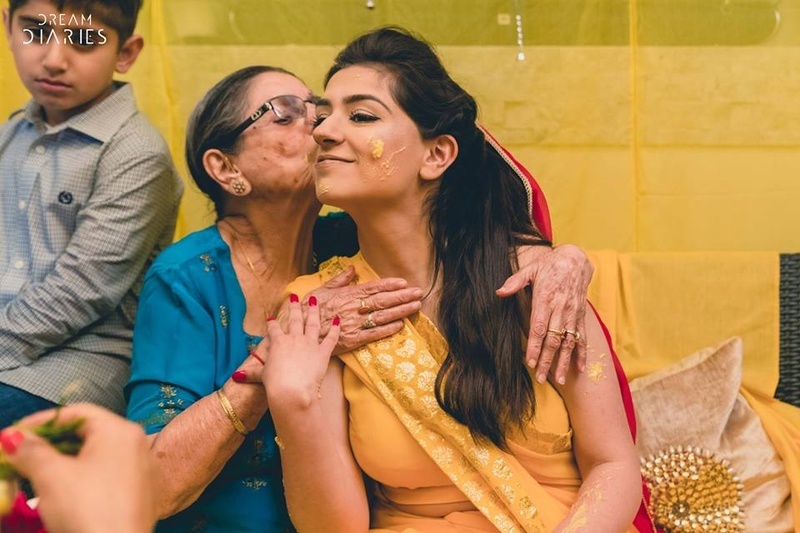 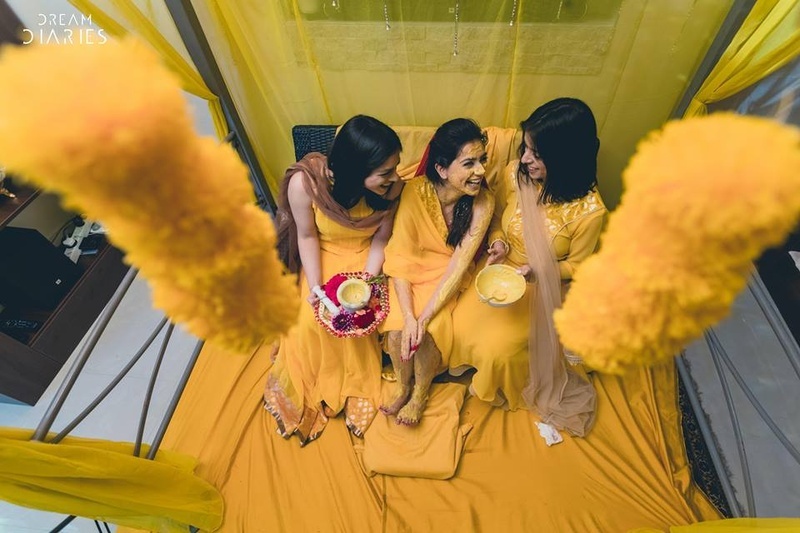 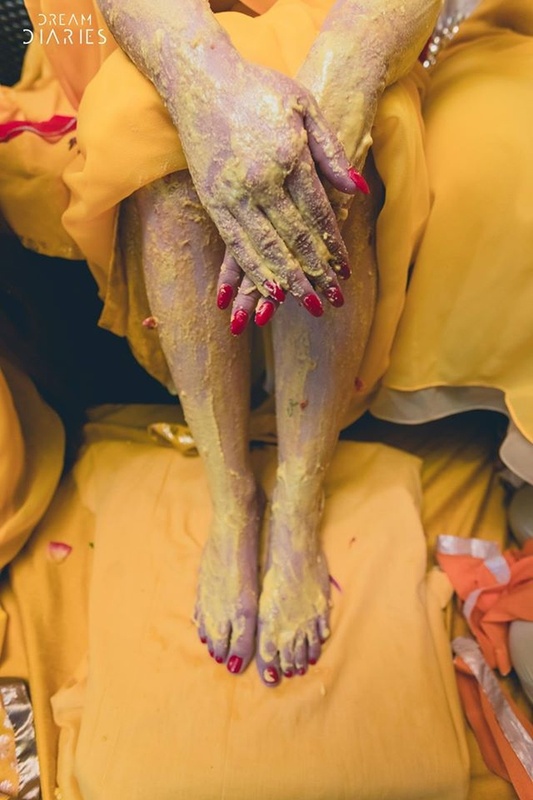 Yellow colour theme for the haldi ceremony. 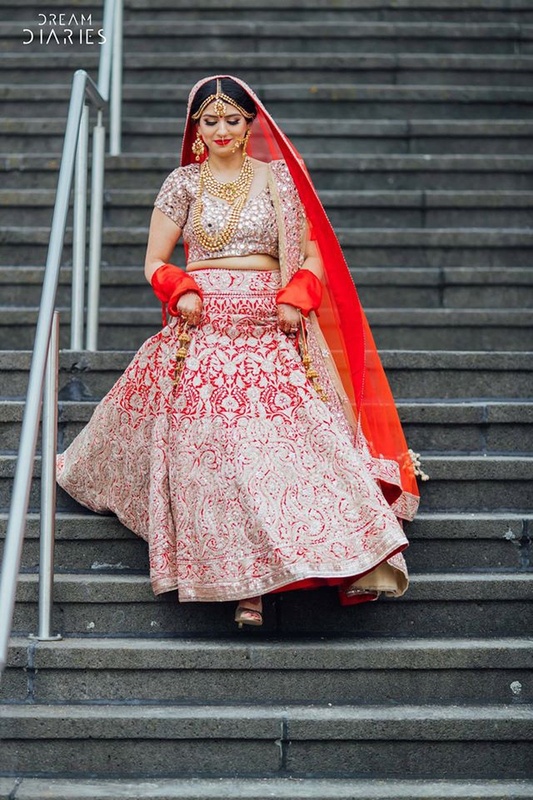 Dressed up in a regal red and silver heavy embroidered lehenga by Manish Malhotra for the wedding day. 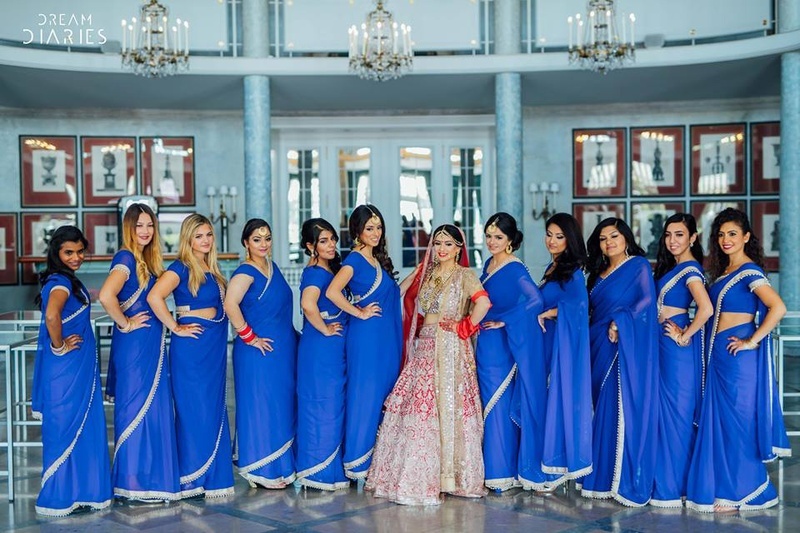 Bridesmaids dressed up in coordinated plain blue sarees with silver border. 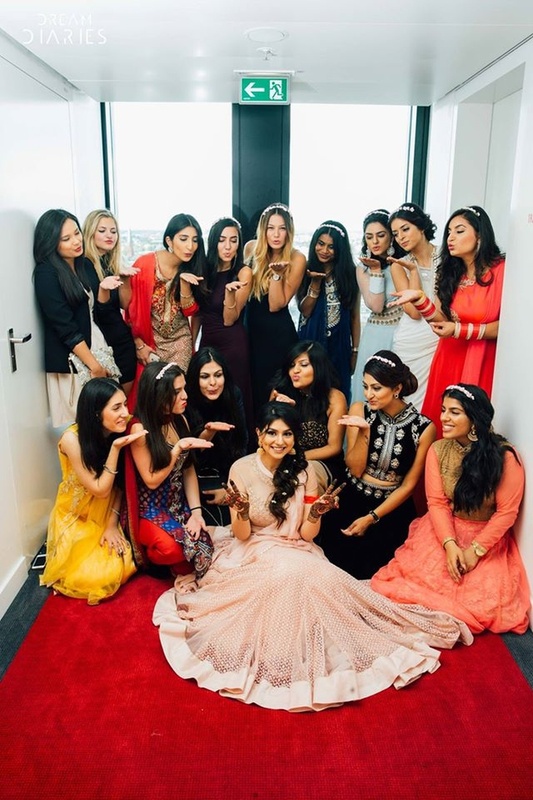 Complementing the bride in a unique way. 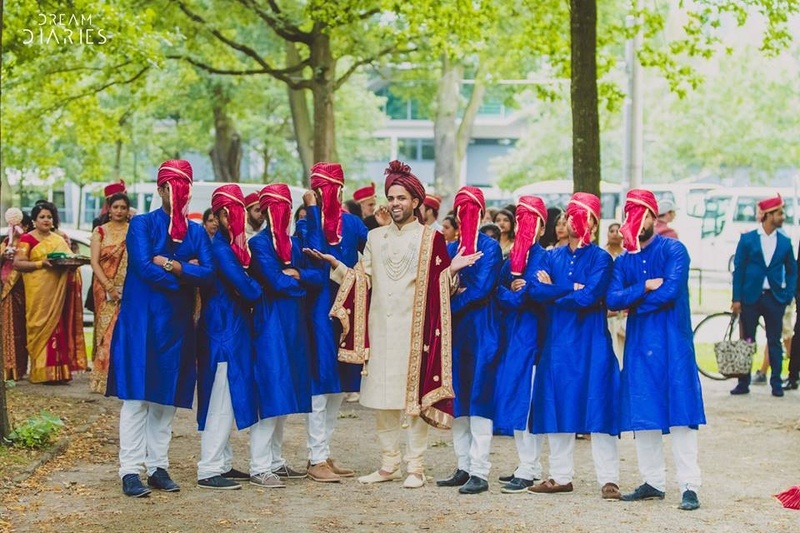 Groom's men colour coordinated their outfits as well! 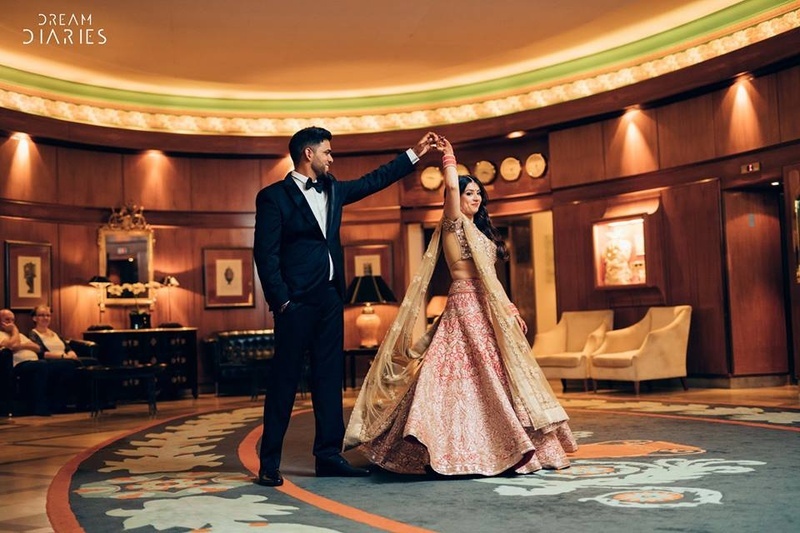 Groom looking dapper. 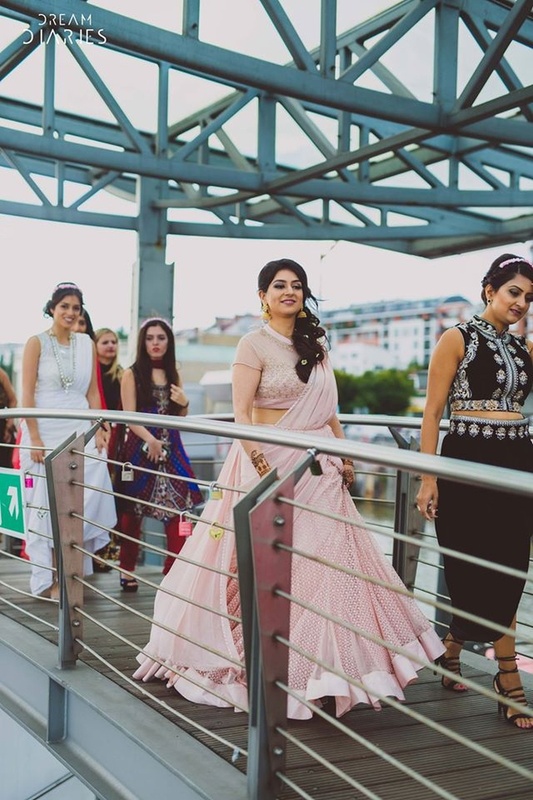 Gunjan walking down the stairs to hr wedding mandap. 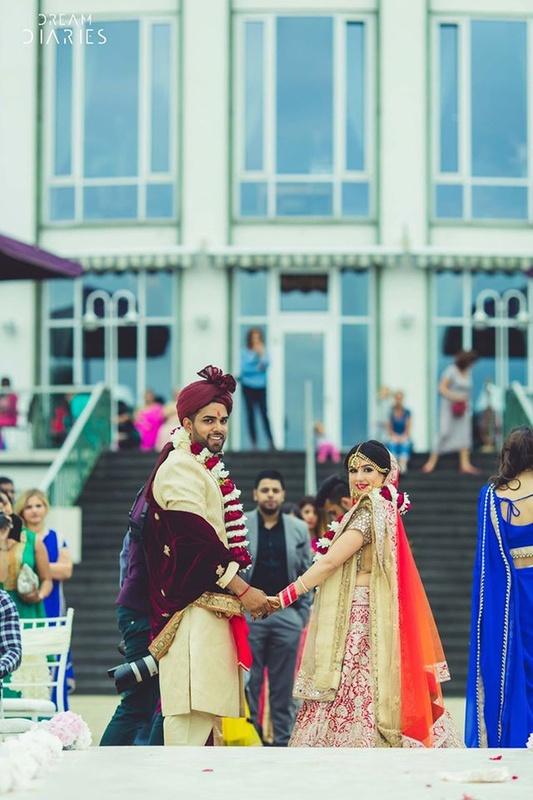 Complementing each other with colour coordinated outfits for the wedding day. 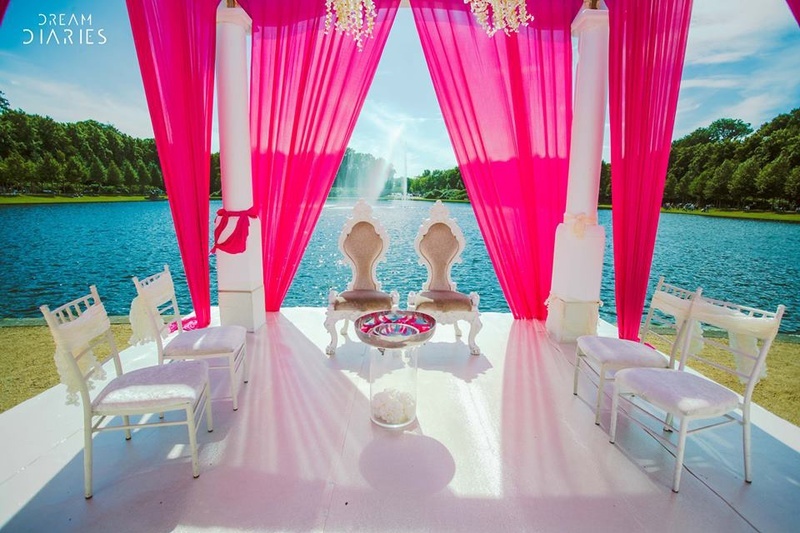 All things white but pretty pink drapes for the wedding mandap. 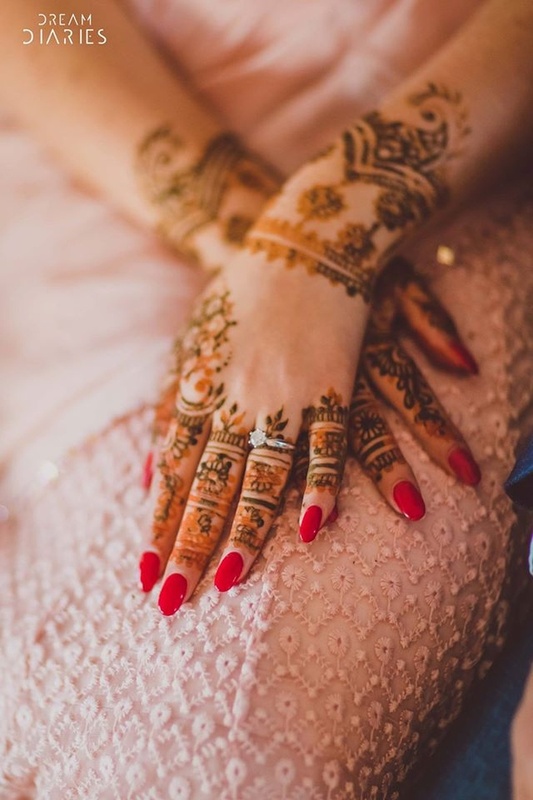 We are loving this! 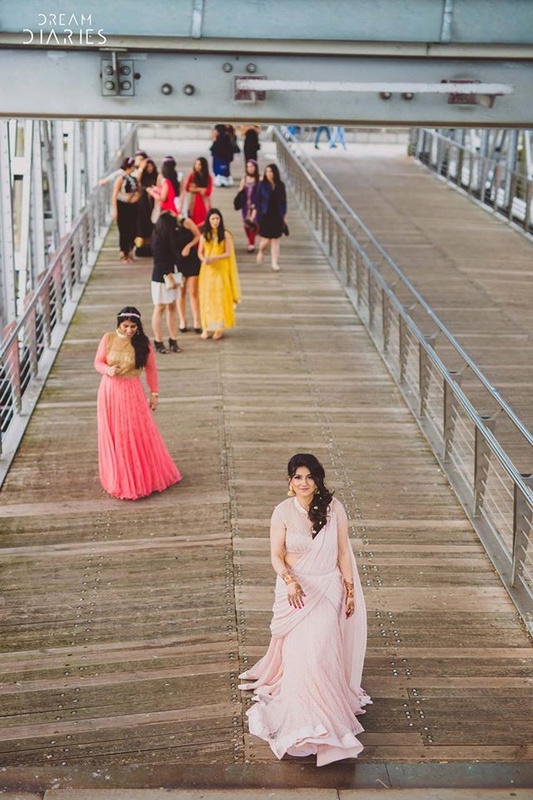 Dressed up for the reception happened the same day post wedding ceremony. 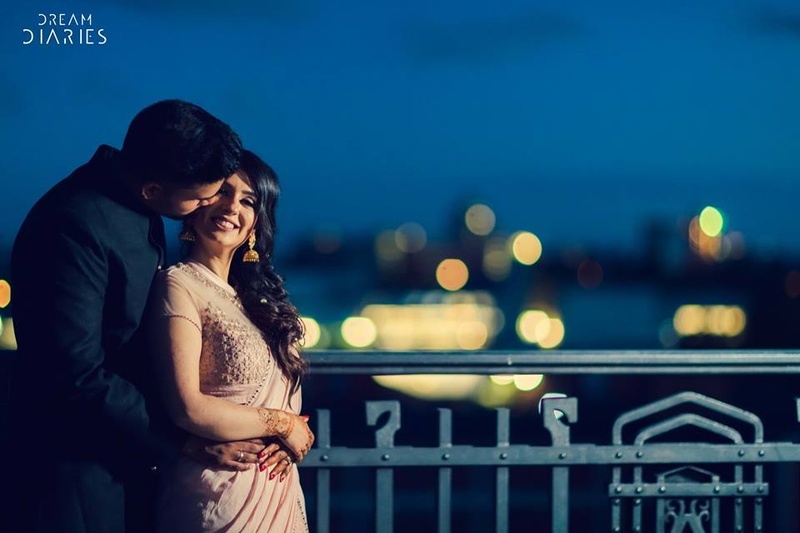 Couple shot by Dream Diaries!